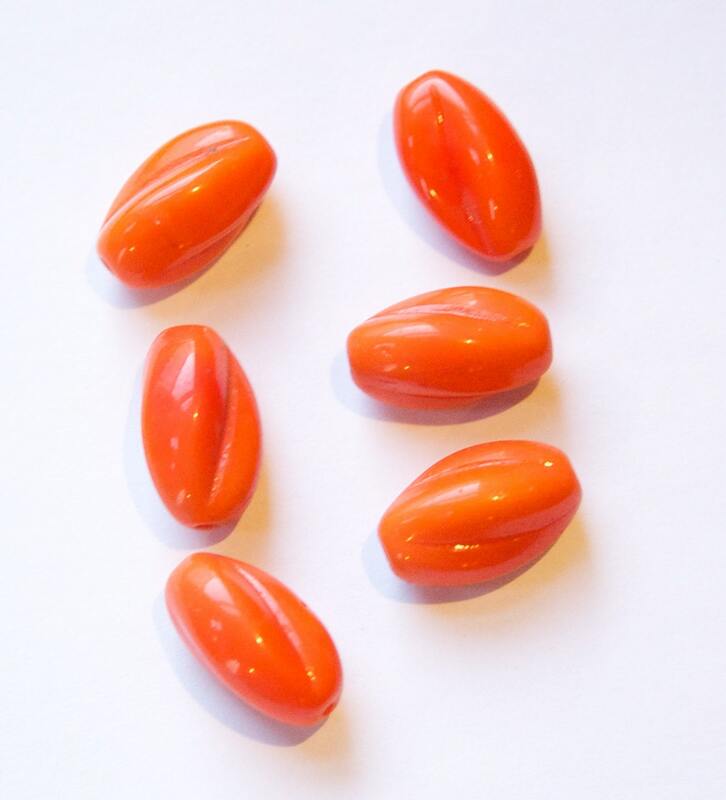 These are vintage orange glass beads that were made in Germany. 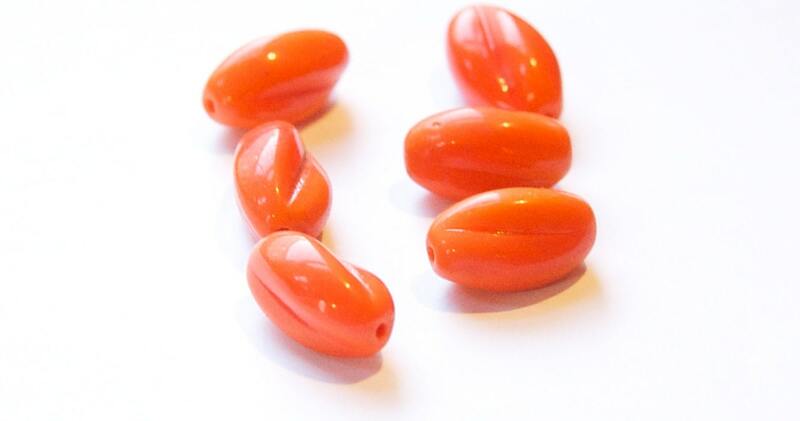 Some of these beads have areas that are darker orange. They measure 20mm x 10mm. You will receive 6 pieces. excellent beads. exactly as pictured. most amazingly fast shipping. thank you!